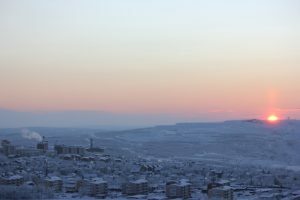 Experience beautiful Kiruna and surroundings! We offer scenic and historical tours. We want to give you an opportunity to experience our unique Kiruna and surroundings. Kiruna is characterized by shining scenery with mountains, fresh water in lakes and rivers, northern lights and midnight sun. The world´s largest underground mine and the amazingly beautiful Ice Hotel are in our area. Welcome! 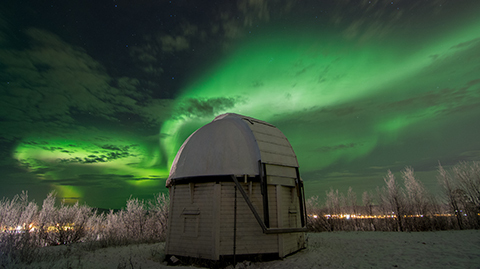 In Kiruna and northern Sweden there is usually starry during fall, winter and spring. In evenings and nights when it´s dark we can see this amazing spectacle dancing in the sky. Aurora Borealis was the goddess of tomorrow in ancient Roman mythology. A translation of the name becomes “northern morning redemption”. Northern lights are born in interaction between the sun and the magnetic fields of the earth. The magnetosphere captures and directs about high energy particles from the sun and in the encounter with oxygen and nitrogen, the northern lights create beautiful colors. To see the northern lights best, you should take a place where streetlights and city lights do not disturb your vision. 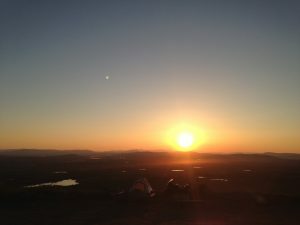 Midnight sun during summertime and polar day is a phenomenon when the sun is never under the horizon. We have midnight sun for 50 days from late May to the middle of July. Polar night occurs from Dec 12 – Dec 31, which means that the sun never crosses the horizon. Being well dressed can be what makes the trip more enjoyable and nice. Multi-layer principle works well and keeps you warm and dry. The idea is to have an inner layer that carries out the body moisture, an intermediate layer that holds the heat and an outer layer that protects against weather and wind. The layers are varied according to weather and wind. Wool is better than Cotton. Comfortable, low-weight clothes that allows movement without tightening works best. Cotton is not good, it absorbs moisture and chill when its dries. Wool and synthetic are much better when you are active. Middle layer, fleece and wool keep you warm better. For the middle layer it is better to have many thinner garments than one thick. Outer layer, during summertime it´s usually a raincoat. Functional materials such as Goretex, MPC, Sympatec, E-vent amongst many are more commonly used. Close to the body, clothes in synthetic or wool works perfect. 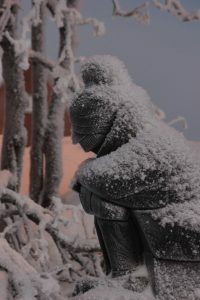 Cotton absorbs moisture and becomes cold. Interlayer, one or more layers of wool, fleece or flannel works perfect. Outer, spacious and windy jacket that covers your back and a good bit below and has a sturdy collar that protects the neck. Hands, Mittens with lining that goes up over the wrists. The feet, the shoes do not have to be lined, it’s the wool socks and the sole that isolates. Several socks and felt soles in the shoes insulate the best. If you work or exercise to warm up, choose a knitted hood that releases some of the heat from the head. If you stand still you should wear a windproof and a lined cap. 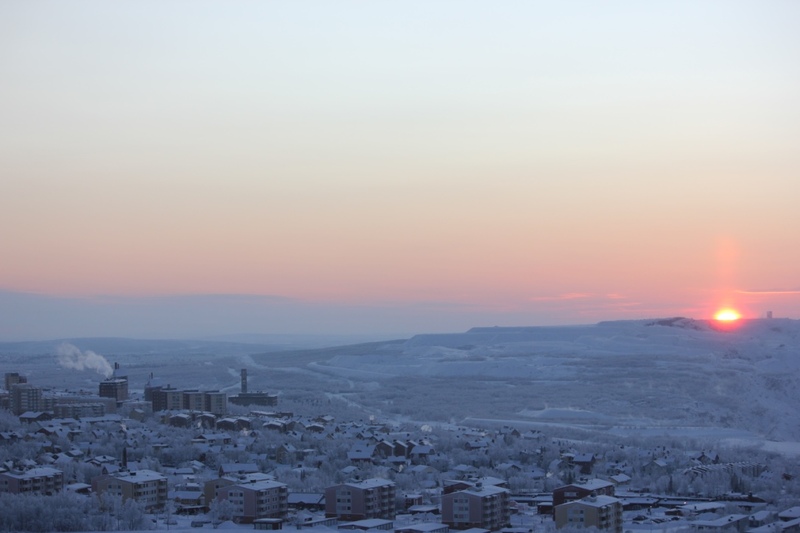 Kiruna got its name on April 27 in 1900, when the city plan was established. The name of the mine mountain Gironvárris was shortened and gave name to Kiruna. 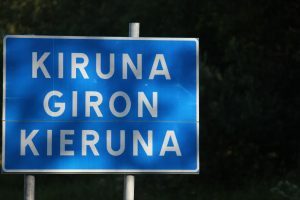 Gironvárri means mountain grouse in Sami. The iron ore in Luossavaara and Kirunavaara was mentioned for the first time in 1696. However, it was too expensive to transport ore with reindeer and sledge. In the late 19th century a railroad began to be built. It was opened for traffic in 1902. The communities and mines grew rapidly under the leadership of Hjalmar Lundbohm, the first managing director of the mine company Luossavaara Kirunavaara Aktiebolag (LKAB). Hjalmar Lundbohm hade the ambition to prevent a new regulated township growing up as it had done in Malmberget, a neighbor city. Mr. Lundbohm had great confidence in his capacity as a community builder. 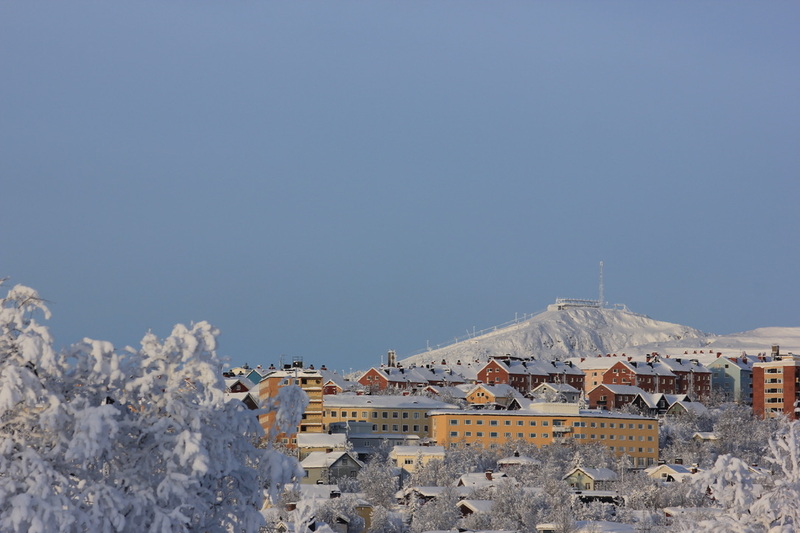 LKAB´s early goal was to make Kiruna a pattern society. Hence some of the country´s leading architects were engaged in designing not only the company´s own real estate but also schools, the church, the fire station and the city plan as a whole. On January 1 1948, Kiruna received city rights. The Sami history began 10000 years go. Associated with melting inland ice, the Sami moved north. They lived by hunting and fishing, their habitats varied during the year. The pursuit of the wild reindeer became a great way to support the family. Hunting areas were divided into an organized village system where some families used the grazelands and hunting grounds together. The Sami ways of living as nomads was considered threatening to the newly established borders of the Swedish territory. Hence, it was decided that five churches would be built in Sweden and Finland. One of these churches was located in Jukkasjärvi. The idea was that all trade would take place in the churches. Abandoning their faith and welcome Christianity was problematic for the Sami. In order to join the worship services, they were forced to leave their reindeer herds unattended. The biggest intrusion was that the Christian priests did not share the view that the dead affected life on earth as the Sami shaman did. The Sami shaman could get in touch with the dead ancestors and the Gods. Well, he was a doctor, a spokesperson, a spiritual leader. The Grouse lives in Sweden on the high mountain, where it usually resides on the actual calf mountain. It has a number of similar muted creaking and snoring leaks. The Sami name for grouse is “giron”. The grouse occurs at the herald sign of Kiruna. We’ll be driving north along E10 towards Norway and stop along the way to enjoy the landscape, serenity and spellbinding northern lights dancing in the starry sky above. SKI School at the Luossavaara Ski Hill! Join us on the smooth slopes of our local mountain Luossavaara with a breathtaking view of our beautiful city and the mining mountain Kirunavaara. 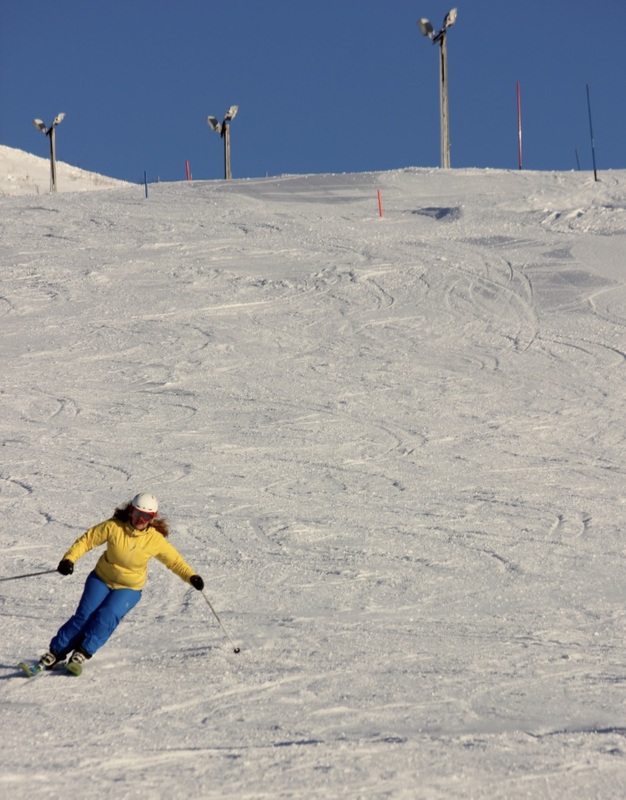 We will enjoy a great afternoon/evening together to challenge our skill in making our way down the slope with fabulous turns! Join us on a tour of Kiruna’s history with North Sweden Tourism. You will learn more about the city and its founder Hjalmar Lundbohm. We will also be visiting the Kiruna Church, City Hall and New Kiruna Centre..